The relationship that forms between a mother and her daughter is truly something special. Mothers are known for always being willing to sacrifice everything for their children and this is why their love is so powerful. In fact, there’s nothing more powerful in this world than the unconditional love between a mother and daughter. 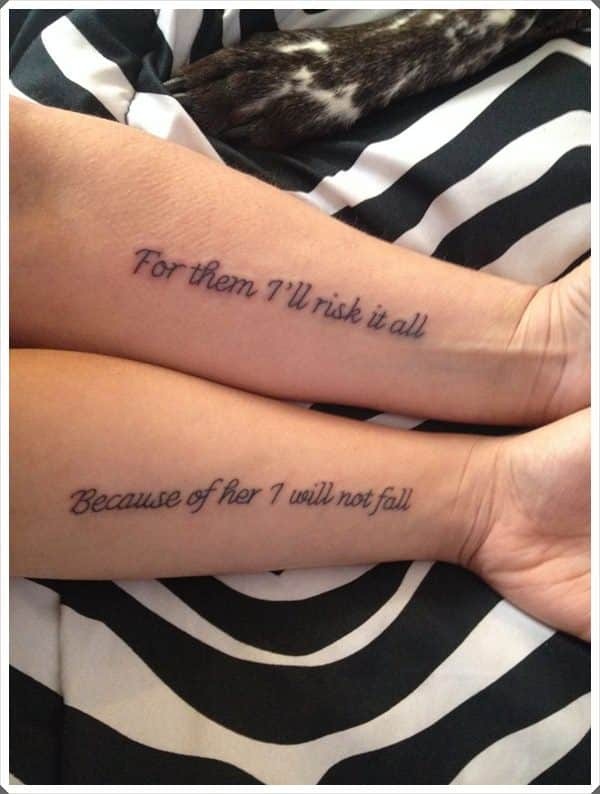 In case you want to commemorate that strong bond, there’s no better way of doing that other than with a tattoo! 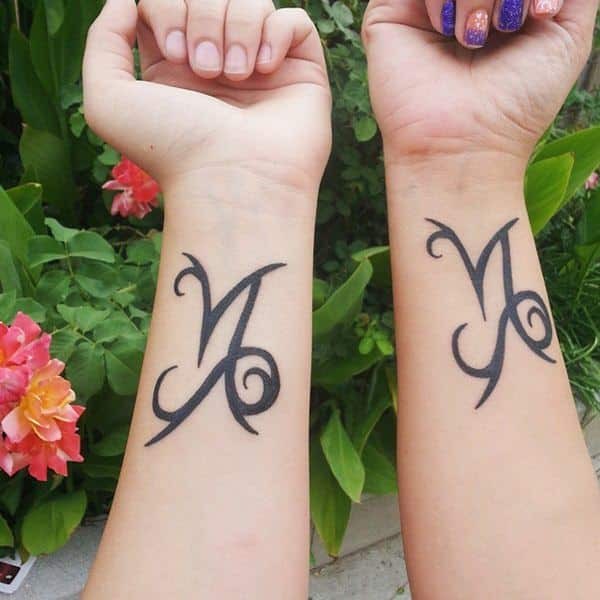 Picking the right tattoo seems to be an impossible task, but it’s actually really easy. You should want to find something that’s really meaningful for you and your mother and don’t rush into it. 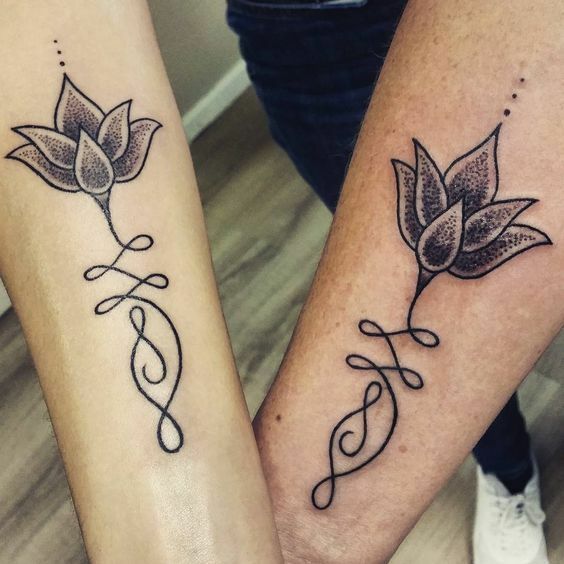 These are the coolest mother daughter matching tattoos that you might want to get inked on your body. Without any further ado, let’s get into it! Getting this tattoo done is the perfect way to make sure that you never forget who you are! 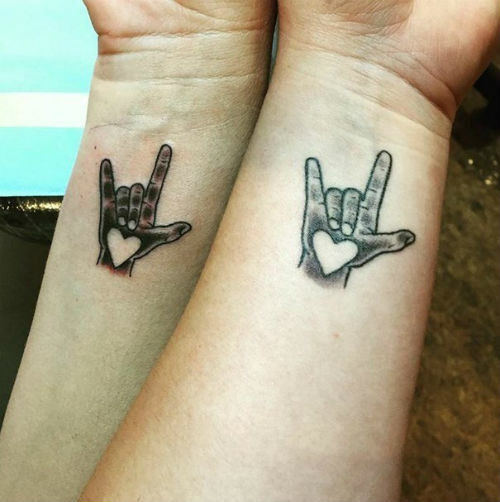 Furthermore, this tattoo also shows that you two aren’t afraid of showing to the entire world how much you love each other. 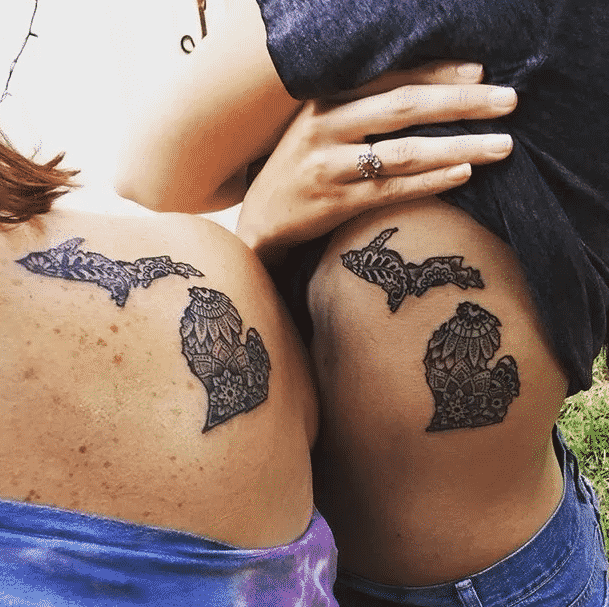 This matching tattoo represents the state of Michigan and it’s sole purpose is to keep reminding them where it all started. Mothers are always willing to risk it all for their children and this mother is not afraid to show it! This tattoo is really nice but what’s really cool about it is that it shows that matching tattoos don’t have to be in the same part of the body. 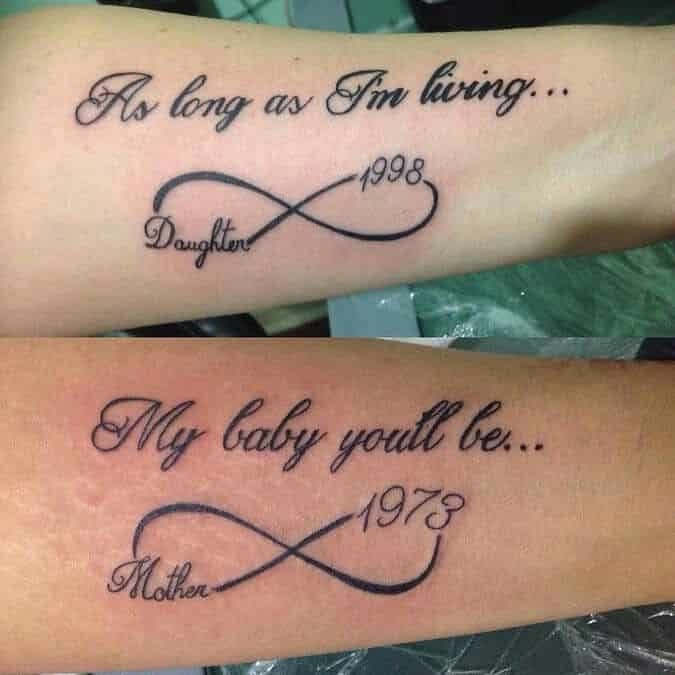 This is a tribute to Johnny Cash’s 1975 hit song and a nice way of showing to the world how strong the bond between you and your mother is. 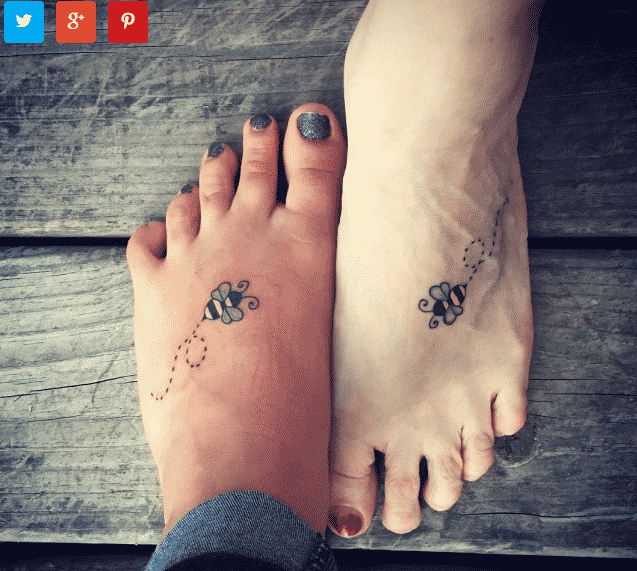 A simple, minimalist tattoo that will look great on anyone’s foot! Those bees look amazing though, especially since they stand out with that bright yellow. 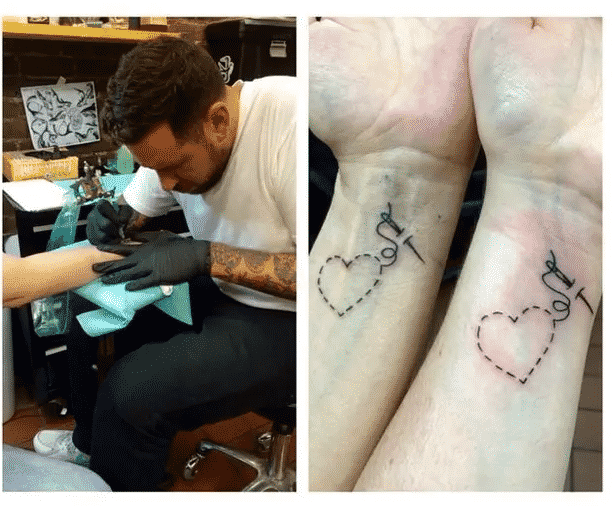 What better way to show how much you love your mother than to permanently ink it on your body? 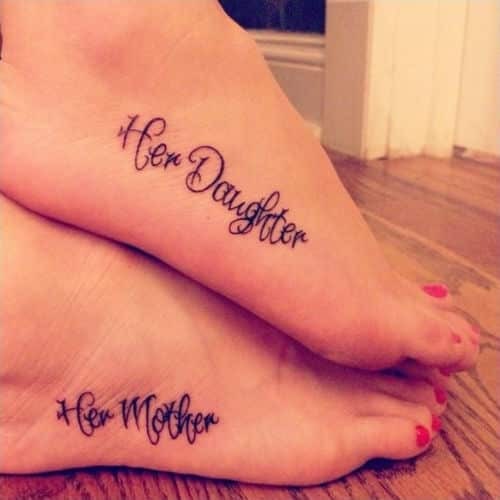 This tattoo is great for mothers that watched the same shows as their daughters when they were growing up. 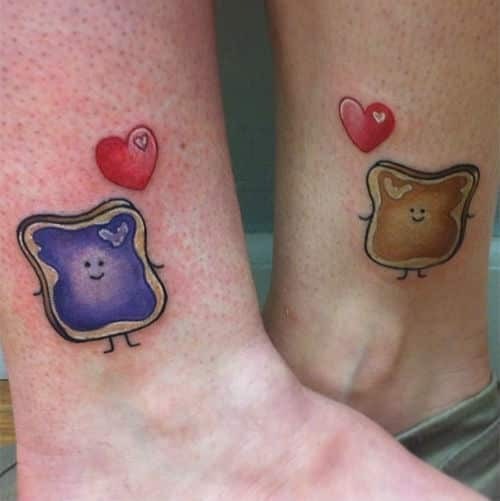 Do you both enjoy eating P&B Jelly sandwiches? Well, then you might want to get a tattoo of that! 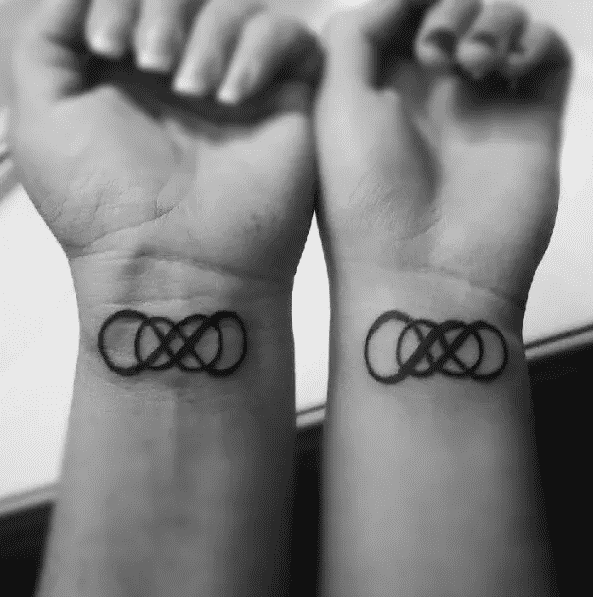 The perfect way to show everyone that you will love your mother till infinity and beyond! 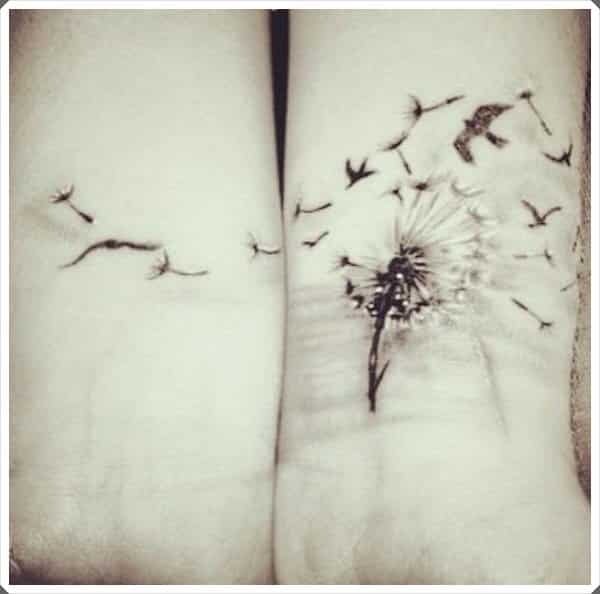 This dandelion tattoo shows us just how creative you can get with matching tattoos. 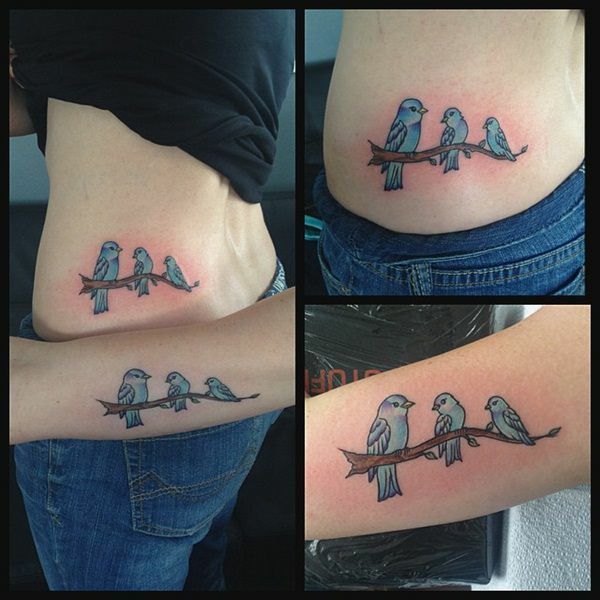 In addition, this matching tattoo is ideal for when one of you doesn’t like having too much ink. 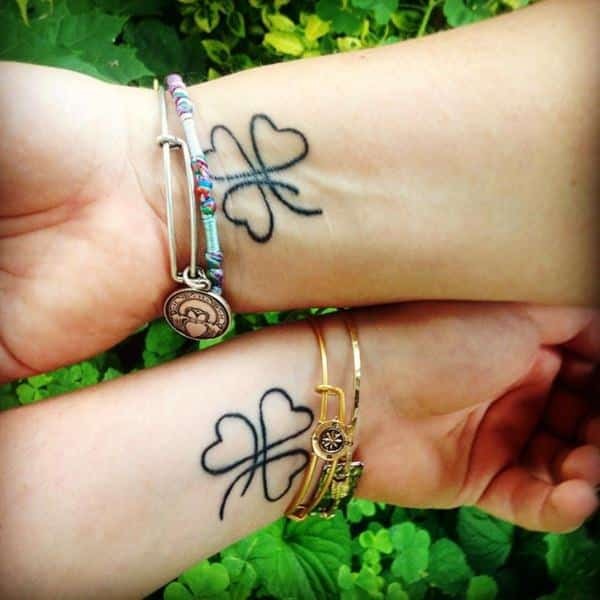 This awesome clover tattoo will show how lucky you are for having such a great mother! Tribal swirls look amazing and they are perfect for mother and daughters who are direct descendants from a tribal lineage, or if they simply love the way they look. No, this is not a rock and roll tattoo. This is actually the hand gesture you make for when you want to say “I Love You” in American sign language. 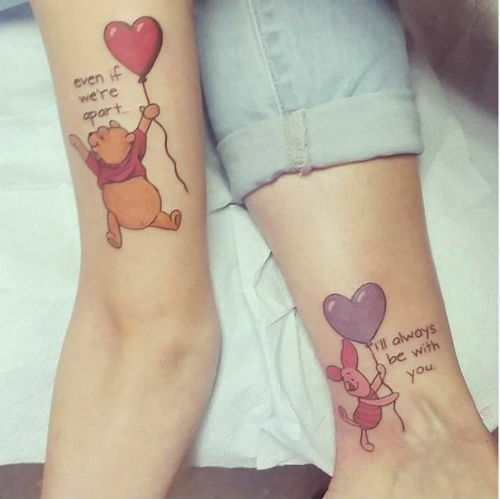 A simple yet beautiful tattoo that shows how much you two love each other. 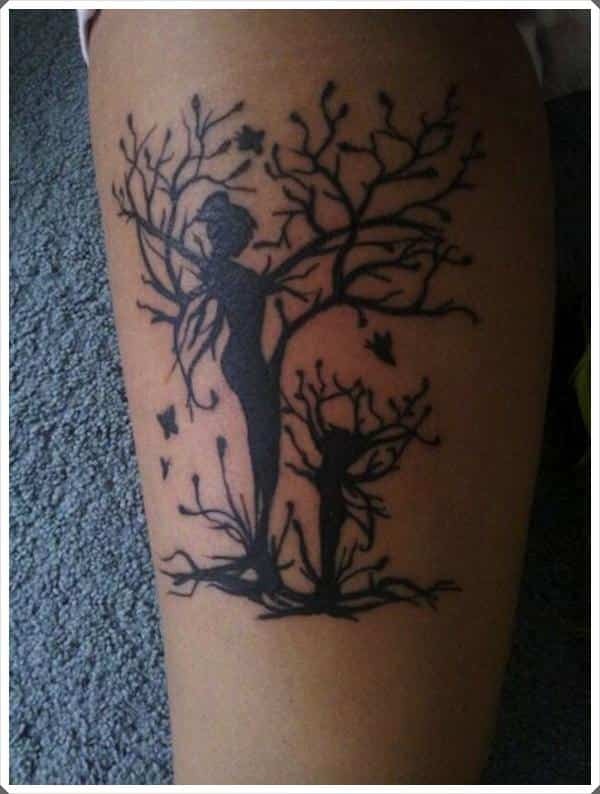 This tattoo shows that mothers are the ones who help us grow strong and wise. They are also the ones who keep us rooted to the ground. 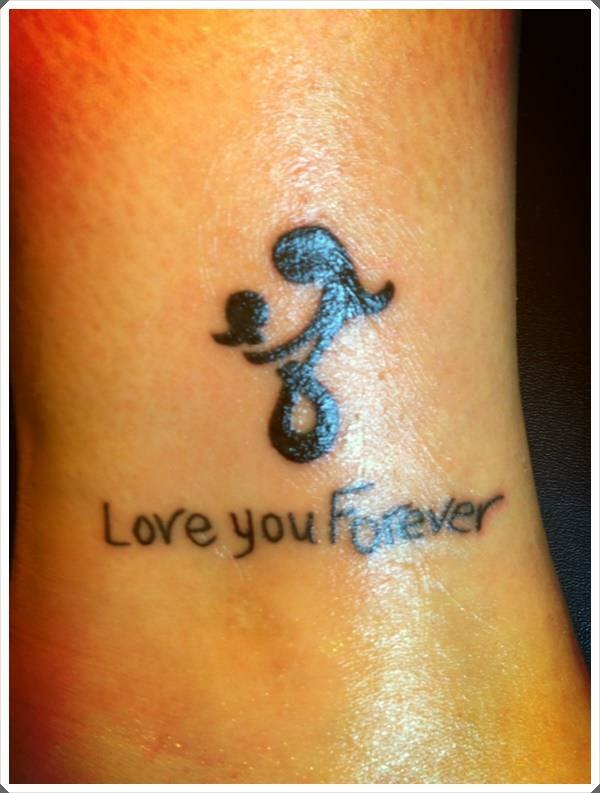 This beautiful watercolor tattoo represents how mothers pour their heart and soul into raising their children right. 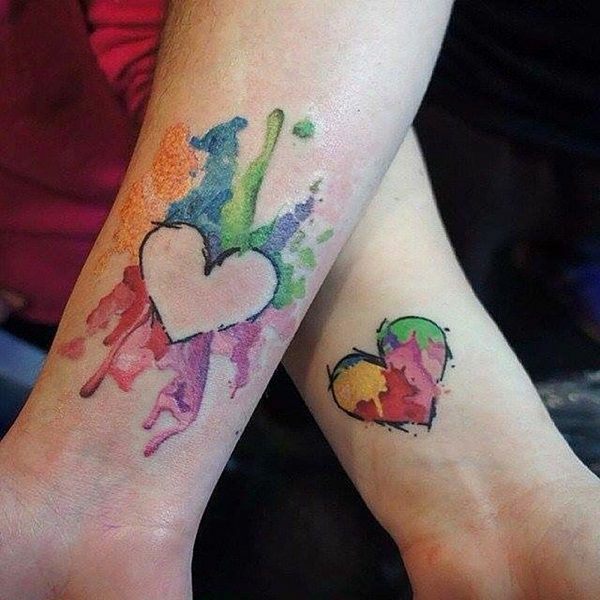 In addition, everybody has black and white tattoos which make colored ones more special. 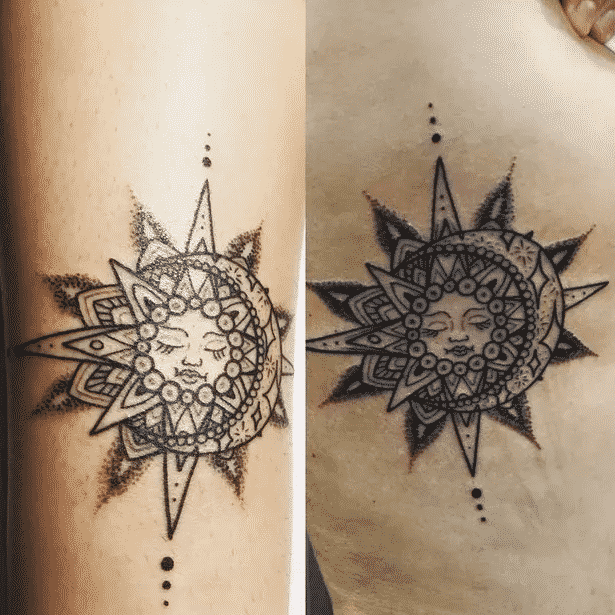 Mandala tattoos are mesmerizing and everybody will admire yours if you decide to get one! However, you need to find a really good tattoo artist that’s able to get this type of work done. 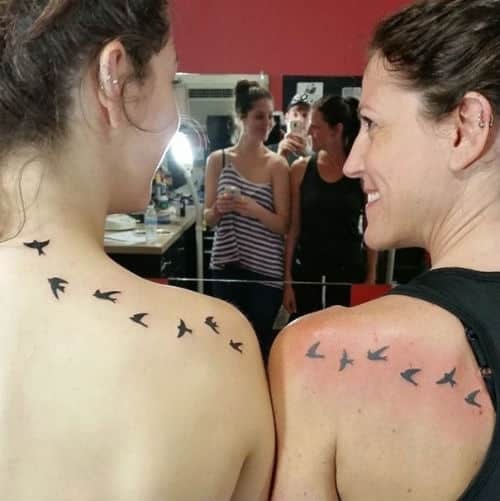 You will always be a kid in your mother’s eyes and this tattoo show exactly that! 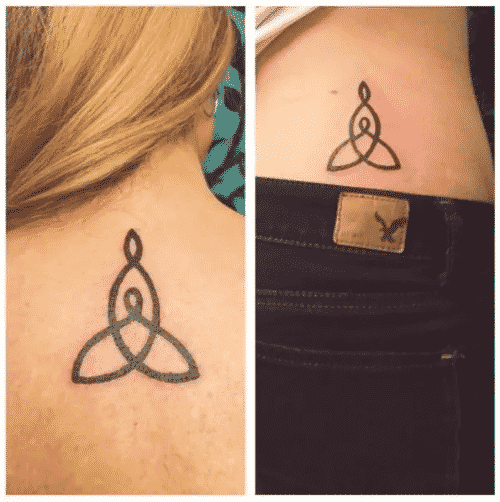 This Celtic knot represents just how strong and unbreakable the love between a mother and her daughter can be. 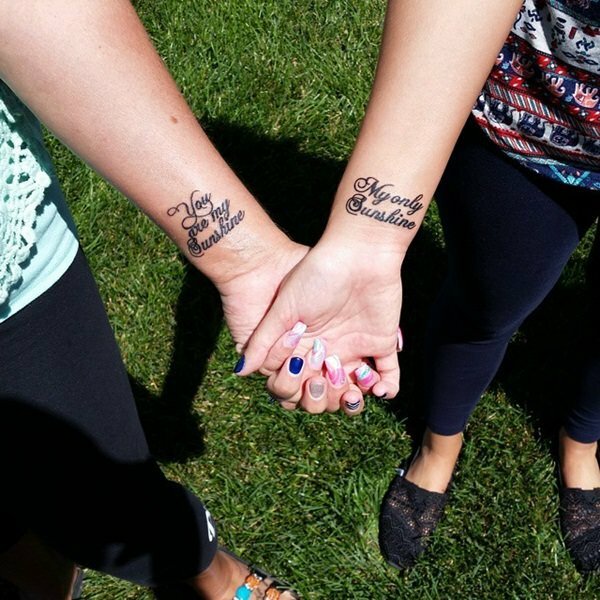 This matching hearts tattoo will always remind you that you will never be apart, maybe in distance but never at heart. 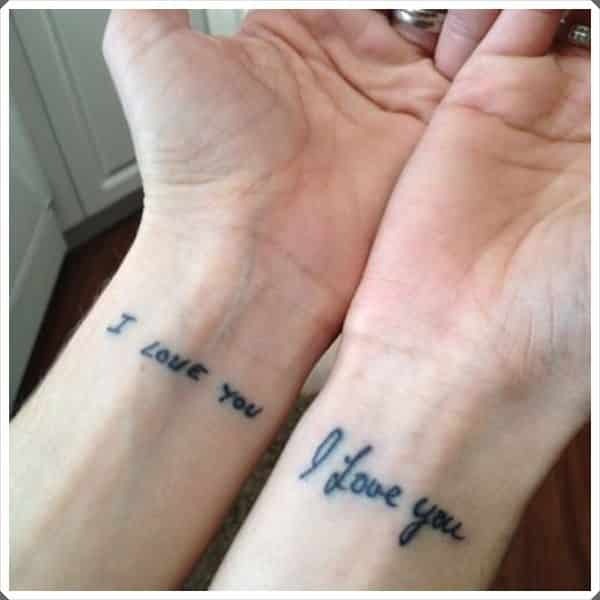 Getting each other’s handwriting inked on your bodies is one of the best ways to show how much you love each other. You know how that old saying goes “birds of the same feather will always flock together”! 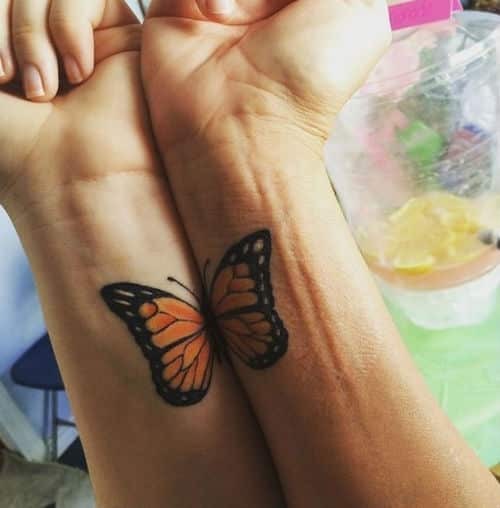 Getting a butterfly tattoo is the best way to show how much your relationship with your mother has evolved over the years and that love never stops growing stronger. This beautiful and complex tattoo represents the yin yang symbol and how two people can complete each other.